Since its inception in 1946, Sierra-at-Tahoe Resort has grown into its role as one of Lake Tahoe's largest resort areas. 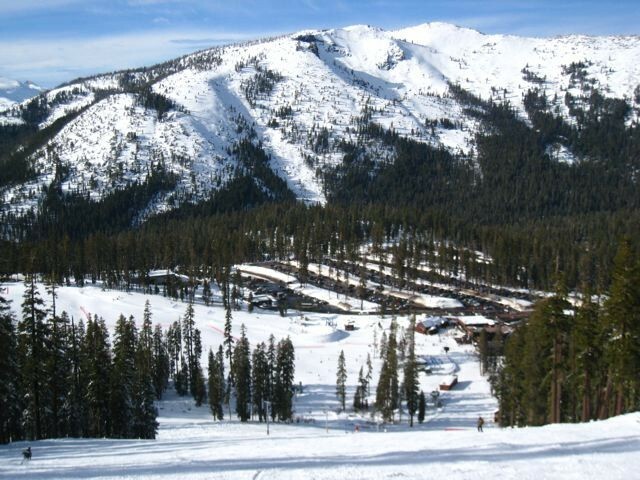 Sierra-at-Tahoe features 14 chairlifts that access 2000 acres of skiable terrain and 2,212 feet of vertical. The resort also provides 5 backcountry access gates into Huckleberry Canyon. The resort includes 8 food outlets, 6 bars, ski & snowboard group and private lessons as well as a telemark and backcountry center. The South Shore of Lake Tahoe also provides plentiful lodging options for guests. Ski shops, rentals, free shuttle service. Childcare for children ages 18 months to 5 years. Barton Memorial Hospital 15 miles away. Ski rental and repair available at main lodge. Cross country rental and repair available nearby. Ski school available for all abilities. Children's snow school for ages 4-6.